Site Master S810D covering 2 MHz to 10.5 GHz, and S820D covering 2 MHz to 20.0 GHz, are the most accurate, reliable and convenient microwave transmission line and antenna analyzers available for installation, verification, troubleshooting, and repair of microwave communication systems. An "anytime, anywhere" solution designed for the rugged challenges faced by field technicians working with wireless and defense communications systems. Standard measurement capabilities includes VSWR, return loss, cable loss, and distance-to-fault (DTF) analysis, using frequency domain reflectometry (FDR) technology. 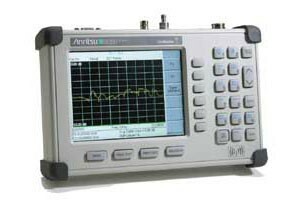 Patented RF interference rejection enables accurate measurements in the presence of high RF activity. Both coaxial and waveguide connections are supported. Handheld Software Tools (HHST) is a free data analysis software utility that enables assessment of system trends, problems, and performance in addition to professional report generation.